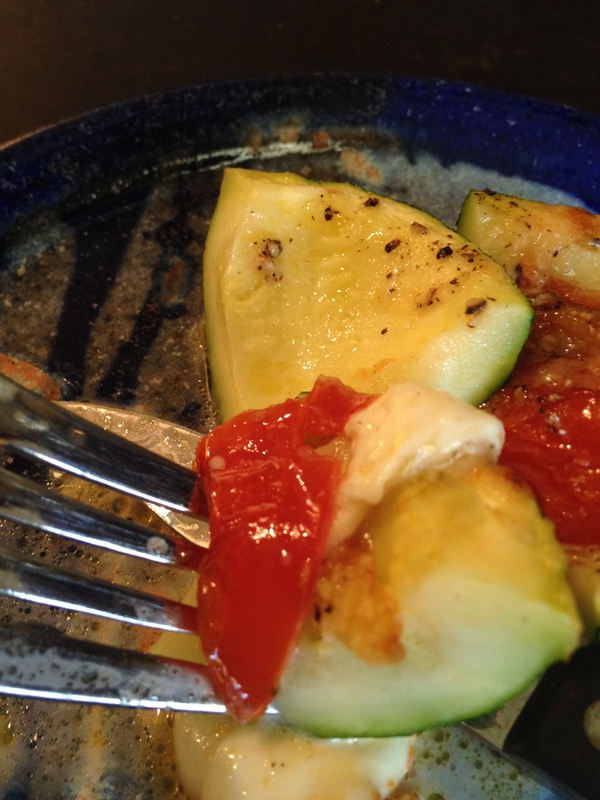 Tomato and cheese stuffed summer squash. But of course I could never do this again. I didn’t write anything down nor did I measure. Sigh…it was good, too! Do you remember Watson, the computer of Jeopardy fame? Well he is apparently changing careers from Jeopardy Human Destroyer to Chef. And if you’re lucky, he will help you in your kitchen. IBM has teamed up with Bon Appetit Magazine to teach Watson how to cook…kind of. Based on the ingredients you input (in my case whatever is in my fridge), the type of dish you’d like to make and the style you’d like to try, Watson will create a list of ingredients and a recipe (actually 100 recipes) to follow using the data collected from Bon Appetit’s 9000 recipes. IBM and Bon Appetit’s intention is to allow the home cook to increase his or her creativity based on the information provided by Watson. Watson is what IBM calls a ‘cognitive computing system’, meaning that the information that was input into the program is re-organized by Watson and output in a different form….a new recipe never before tried (at least as far as Watson knows), like an Austrian Chocolate Burrito. The technology is amazing and I won’t begin to pretend that I truly understand it, but I am excited at the chance to be part of its development. If you want a chance to play in the kitchen with Watson, here is your opportunity. Happy cooking! And if they choose me, you can expect lots of pictures!